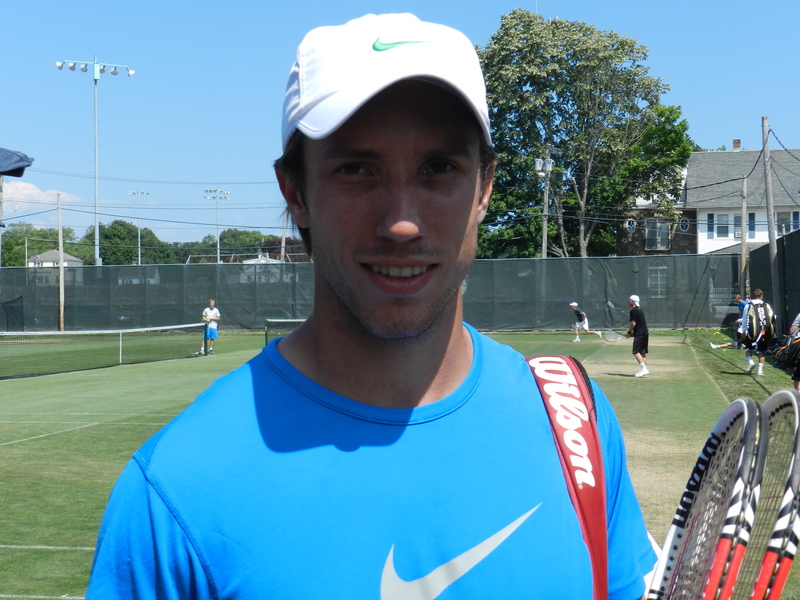 Posted in: ATP, ATP Challenger, Chris De Waard. Tagged: 2015, atp challenger, guadeloupe, Israel, Le Gosier, mexico, picks, predictions, preview, Raanana, San Luis Potosi, tennis. After a short break the Challenger tour is back on track, with hardcourt events in Israel and Guadeloupe, plus a clay tournament in Mexico. The last direct acceptance is David Guez, ranked 189th. Promising youngster Karen Khachanov qualified, but has a tough draw with #2 seed Lukas Lacko in the first round. Amir Weintraub is making his comeback from injury, after being out since Wimbledon last year. A tough opening round for him as well, facing countryman Dudi Sela. Sijsling being unseeded in a Challenger is a sight that hasn’t been seen for a long time. He even started 2015 ranked #81, but his Rotterdam semi-final points dropped off in February, which immediately saw him drop out of the top 130. Nevertheless, despite his form he still should be one of the tougher draws at Challenger level, so this will not be easy for Kavcic by any means, despite him coming into this tournament high on confidence, having won the Shenzhen Challenger two weeks ago. Donskoy is another player whose ranking seems out of place. Currently sitting at #175, the former world #65 clearly should be doing better. He faces a countryman who arguably is even more erratic than him, so perhaps he can force something here. The two have a lengthy match history, having faced each other eight times, with Kudryavtsev leading 5-3. Their most recent match is also their most notable one, playing a five set match in the first round of the most recent US Open, which saw Kudryavtsev prevail. Top seed Blaz Kavcic has to be favored here, but it isn’t even close to being a clear cut case, with a lot of streaky players who can put together a random run being in his section. 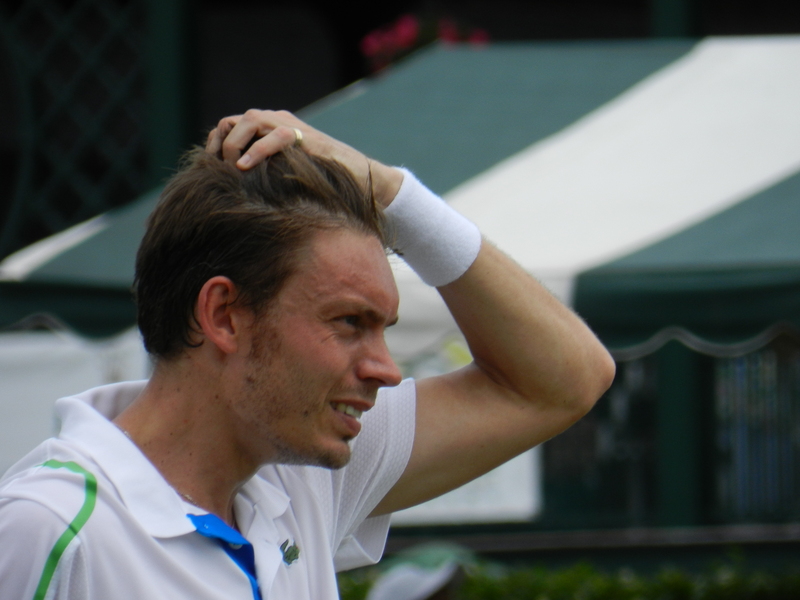 A first round loss to Sijsling wouldn’t be an enormous surprise, and if he survives that I would argue that every player in his quarter has a decent shot against him, which is simply very strong with John Millman, Nikoloz Basilashvili, Michal Przysiezny, Iliya Marchenko, Donskoy and Kudryavtsev being in the mix as well. The second quarter looks to be more straight forward, with the seeds Blaz Rola and Lucas Pouille as the clear favorites. I can’t look past #5 seed Dudi Sela here. He is playing in his home country and his opening round against the comeback kid Weintraub is perfect to start off with to obtain some rhythm. Granted, after that he is likely to face some stiff opposition with Michael Berrer and Marsel Ilhan, but he should still be given the edge here. In the bottom section #2 seed Lukas Lacko is coming in on very bad form, so he could well be upset before even reaching the semi-final. The last direct acceptance is Yann Marti, ranked 295th. Granted, this isn’t actually a match you have to look out for, given that Baghdatis will win comfortably in all likelihood, but this is mostly in reference to King’s match of last week. In the first round of USA F11 he was trailing Francis Tiafoe 7-6(5) 5-7 0-2 when he suddenly walked off the court, not pleased with some of the line calls that went against him. In combination with the well known incident last year, when he got defaulted at the Charlottesville Challenger after throwing his racquet next to a line judge, this is starting to give him a distinct bad boy image. This match is quite different, with two attacking players who should put up an interesting match. Bemelmans qualified for Miami last week and pushed Juan Monaco to three sets, but he has reasons to be disappointed as well. He came back from a double break down in the second set, saving two match points, and from a single break down in the third set, but couldn’t capitalize on the mental blows that gave to Monaco. Tennis fans have every reason to look forward to the potential quarterfinal match-up in the top section, with Baghdatis and Hyeon Chung being likely to reach that stage. 18-year-old Chung impressed in Miami, taking out Marcel Granollers in the first round before falling 6-4 6-4 to Tomas Berdych. This in contrast to Baghdatis, who painfully lost 6-2 6-2 to Simone Bolelli in the first round. The winner of that clash is likely to face Benoit Paire in the semi-final, who has a cushy draw and should be able to handle Kyle Edmund or Kenny De Schepper in the quarterfinal. It will be interesting to see how #2 seed Pablo Andujar will perform here, given that he hasn’t been a regular fixture on Challenger level for quite some time. Hardcourt isn’t his best surface, but I reckon he is still solid enough to book himself a place in the final here, with his biggest rivals being placed in the top half and the bottom half threats being very erratic or not the biggest fans of hardcourt either, like #4 seed Maximo Gonzalez. The last direct acceptance is Gonzalo Escobar, ranked 294th. 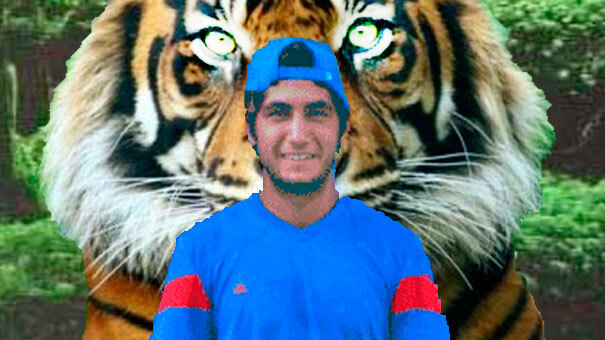 Tigre Hank received a wild card and will play Gerald Melzer in the first round. 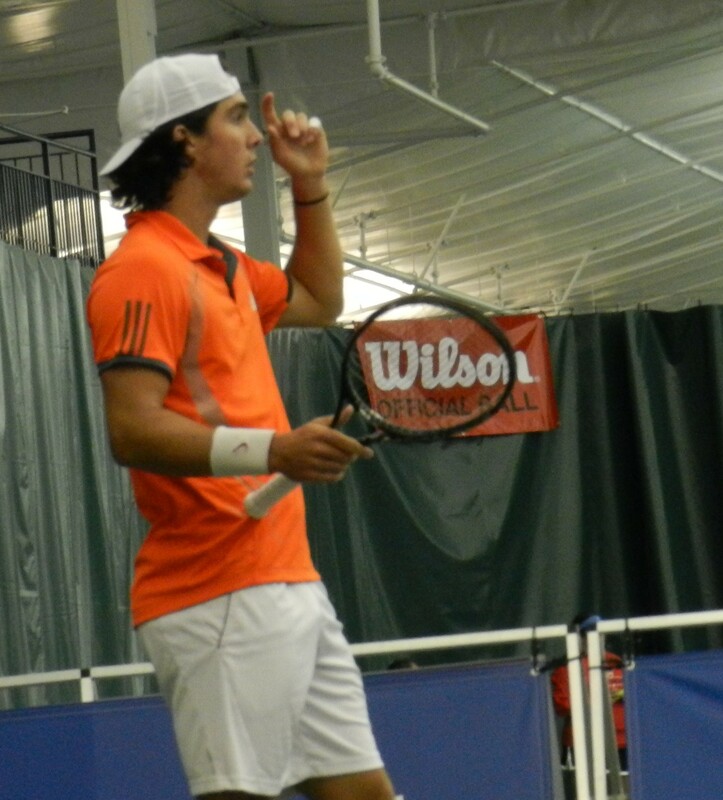 Daniel Garza received a wild card as well and faces Guido Pella. Vanni hasn’t won his match since his heroic run to the final in Sao Paulo, but you can’t really hold that against him, having played only two tournaments and facing Simone Bolelli in one of them, right after the Sao Paulo final. He can start his march to the top 100 here, while being currently ranked 115th, facing a Buchanan who isn’t in the best form of his life. This is a very unfortunate draw for McGee, who could have made a run if he was placed in another section of the draw. Dzumhur, who is having a breakthrough year and reached the top 100 for the first time. should be a bit too much in his current form. This looks to be quite a promising half, with all four seeds being in good form. Outside of them there is unfortunately not a single unseeded player I can see making a surprise run. #4 seed James Duckworth seems to have shaken off his top 100 jitters and now finds himself inside of it after reaching the final of Kolkata and the second round of Indian Wells. If he keeps up that form I would give him the edge over Teymuraz Gabashvili and Austin Krajicek, with Adrian Menendez-Maceiras following behind. In contrast to the top half, this half is inhabited by seeds who are true clay court specialists, outside of Damir Dzumhur. Luca Vanni, Paolo Lorenzi and Horacio Zeballos clearly prefer the dirt, but going by Zeballos’ recent form I can only see the former three making an impact here, with an edge for Lorenzi, who lives for these events. Not only that, he is also the defending champion, so he surely should be favored to at least make the final.